Check out our Deck the Halls Video! Spare a thought for them all the way up there in the Arctic circle, toiling away in the darkness to finish all the presents in time for the boys and girls to unwrap on Christmas morning. Wouldn’t it be nice if someone could do something to make their lives a little easier, in this, their busiest time of the year? Well never let it be said that Redtenbacher’s Funkestra are neglectful of our tiny, hard working, supernatural friends. “If they must toil, let it be in funkiness” Quoth band-leader Stefan Redtenbacher. And so now we have funky elves, dancing girls, and is that Mrs Claus herself busting her funky moves at the North Pole? 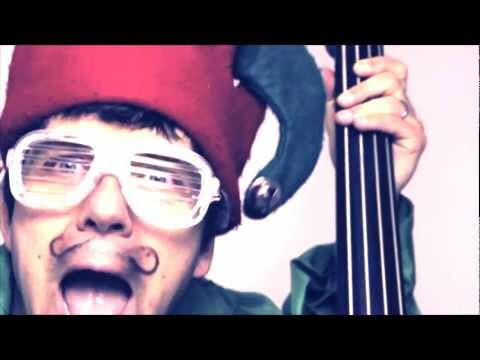 You decide after you’ve watched this spanking new Funkestra video for “Deck the Halls”! And don’t forget, the forthcoming album, “A Very Funky Christmas” will be dropping in just a few days on the 15th November!